awks hockey club was originally formed in 1989 as a ladies section of the Grammarians H.C. 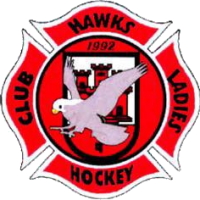 They split and became Hawks H.C. in the late nineties. The name may have changed with different sponsors but the coaching and playing personnel have largely stayed the same over the years. A testament to the staying power of both players and coach in putting up with each other for so long. They first played in Europe ,as a very young team, in 1996 in Bra Italy. Twenty years later they host the European club trophy for league champions for a second occasion in Gibraltar . As first Grammarians ladies H.C. and then the last twenty years as Hawks H.C. they have flown the flag for Gibraltar proudly. 2016 sees them with a flourishing youth section with various age groups which should see them continue to be the top team in Gibraltar for many years to come. It is interesting to note that eight players who played in that first European cup in Bra Italy are in this year’s squad.